The number of American airstrikes has risen sharply in Yemen as the US helps the weak local government to fight against local militants. But civilian casualties and secrecy trigger public uproar and win more support for Al-Qaeda. The Obama administration’s anti-terrorism effort is heavily reliant on aerial strikes, particularly those delivered by drone aircraft. 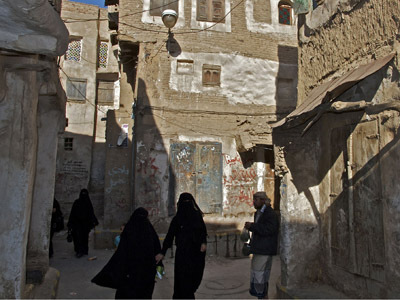 Yemen, a fractured and impoverished Arab Peninsula country with a government that cannot control large portions of its territory, is one of the primary battlefields. 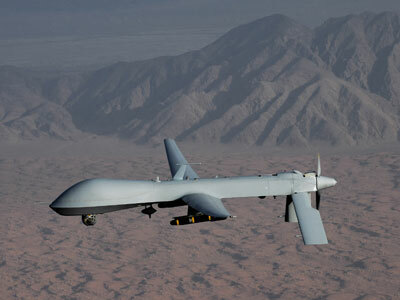 The clandestine nature of the use of drones makes it difficult to track the number of such attacks and their victims. The Long War Journal, a nonprofit website that tries to do it, says that since 2002 the US has launched 57 airstrikes in Yemen. The bulk of those came this year, in which 38 strikes have been carried out. The attacks killed 299 militants and 82 civilians, the website reports. The identification of the victims is difficult however. Even possession of arms and lack of uniforms by the targets is not a clear indication due to large presence of militias in the tribal areas of the country, who may or may not be affiliated with the Al-Qaeda in the Arabian Peninsula (AQAP) and other radical Islamists. The surge of attacks and lack of transparency angers the local population. US officials routinely refrain from comments on American involvement in airstrikes, while the Yemeni government often claims responsibility for them and attempts to cover up civilian killings, according to a Washington Post report. One of the latest such incidents that resulted in a public outcry was the September attack on a Toyota truck packed with 14 people, which killed 12 civilians, including two children. The Yemeni government initially said its aged Air Force attacked the vehicle with terrorists, but had to retract as furious tribesmen tried to take the bodies to the gates of the presidential residence. The newspaper cites an unnamed US official as admitting that an American aircraft was behind the airstrike. It says two survivors and relatives of six victims, who spoke to a Western journalist about the incident, expressed willingness to support AQAP or even fight alongside the group. The situation goes in line with AQAP message to Yemenis, which depicts America and the government as waging a war on Islam. Especially when it can do things that would be normally expected from the government, like offering compensation to the survivors and the families of the victims of the attack. “The drone war is failing. If the Americans kill 10, Al-Qaeda will recruit 100,” Abdul Rahman Berman, the executive director of the local rights group National Organization for Defending Rights and Freedoms, told the newspaper. Contributing to the turmoil is American willingness to target not only positively identified terrorists, but also those only suspected, as well as people who are not known to be a direct threat to the US. One example could be the killing of Adnan Qadhi, a powerful Yemeni militant figure and radical preacher, who was killed by a missile in November. 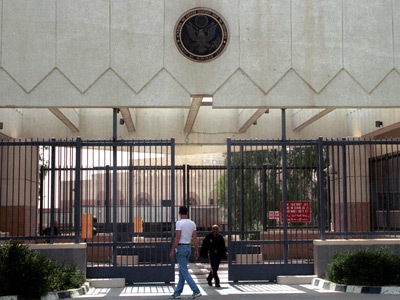 The death was not confirmed to have been delivered by a US aircraft, according to the Los Angeles Times, but locals believe this to be the case. Qadhi had links with Al-Qaeda and was an outspoken critic of the US, but apparently was recently more interested in establishing his powerbase in Yemen rather than plotting against America. The newspaper cites a former senior US official as saying that Qadhi’s planning of the 2008 attack on a US embassy in Sana’a would not be enough to include him on the US “kill list” of approved drone assassinations. White House counter-terrorism advisor John Brennan has said that militants seeking to overthrow Yemen’s government were not targets. The strike was approved by the new Yemeni President Abdu Rabu Mansour Hadi, the report says. But Yemeni officials told the newspaper they were not aware of intelligence linking the man to any active plot, raising the question of whether the killing was justified by American national security interest as much as it was by the interests of the Yemeni government. Another infamous botched-airstrike incident on Yemen happened in 2010. Back then intelligence provided by the Yemeni led to an American airstrike, which aimed to kill a senior militant, but instead assassinated Jabir al Shabwani, the deputy governor of the tribal Mareb province, along with five of his bodyguards. The killing triggered retaliation attacks on government sites by members of his tribe. The newspaper, which cites a former senior US official, implies that the killing was result of manipulation, which involved the US into internal faction strife, rather than merely an accident. 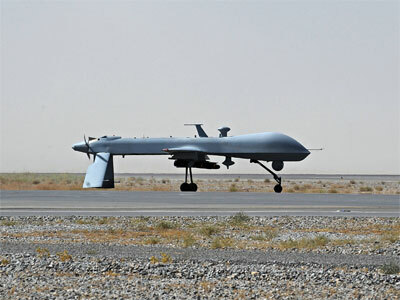 In Yemen as well as in other nations, like Pakistan or Somalia, “our drones have become the counterinsurgency air force for those governments.” Micah Zenko of the Council on Foreign Relations earlier told the newspaper. “The real reason for most of these strikes has been to protect a regime in Pakistan or Yemen,” he added.